Yarn Type SALE 50% OFF! 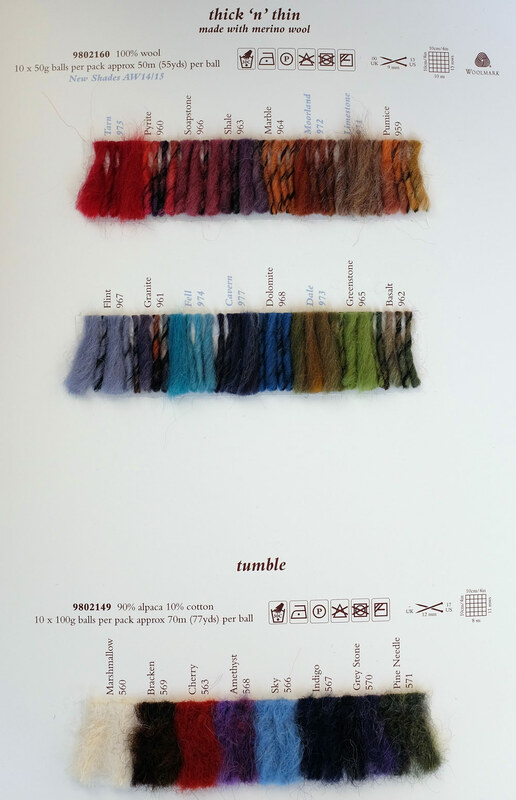 Tumble is a glorious lightweight,soft and lofty yarn. This yarn is 90% Alpaca and 10% Cotton and is has a pallet of 6 strong colours and is the ideal yarn for those snuggly soft Autumn/Winter garments and accessories. Hand wash cool. 15 designs by Marie Wallin, Martin Storey, Lisa Richardson, Gemma Atkinson & Sarah Hatton using Alpaca Chunky, Tumble, Thick ‘n ‘Thin & Fur. A selection of Rowan's chunkier yarns making these accessories super quick to knit. The 15 designs include hats, scarves, cowls, capes and interesting neck pieces from Rowan's in-house design team. A collection of easy to knit, easy to wear garments and accessories - designed by the Rowan design team - Marie Wallin, Martin Storey, Lisa Richardson.The deisgns use Rowan Tumble. Tumble is available in six bright colours and the fun and simple designs will appeal to beginners and more advanced knitters alike. This lovely, soft and cosy yarn is made from an exquisite blend of alpaca and cotton. Knit this accessory chunky snood, available as a free pattern to download. Designed by Heike Kruessel using the glorious lightweight soft and lofty yarn Tumble (alpaca and cotton), this super cosy cowl is knitted in double moss stitch.